This fruit tree produces surprising fruits, sloes, that are always best when they’ve burst just after the first frost spells. It is ideal to plant blackthorn in fall to boost root development before winter. You can still nonetheless plant your blackthorn in spring if you’ve purchased it in a container. Blackthorn loves sunbathed locations to produce sloes. It appreciates rather rich soil. Poor and clayish soil isn’t its best growing environment. Take care, if this is the case, to water regularly at the beginning for roots to penetrate well. Take note that blackthorn is… full of thorns, place it well so that you won’t be pricked too often when passing by! It is thus also ideal to create a tough defensive hedge, on top of its ornamental appeal. 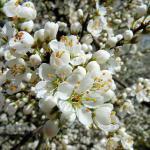 Caring for blackthorn is very easy because it is a shrub that requires quasi no care once it has settled in correctly. Regularly water over the 1st year after planting. Fertilize poor soil with shrub fertilizer during the 2 or 3 first years. If you must prune or cut back your blackthorn, avoid proceeding after the blooming, or you won’t be harvesting any fruits. Wait for fall to cut it back drastically every 2 or 3 years. Remove suckers sprouting from the base often during the year. It is very easy to harvest sloes from the blackthorn but, be careful, these fruits only really have any value if harvested at exactly the right time. Sloe is astringent and bitter and doesn’t have much culinary value if harvested too early. Wait for a couple fall frost spells to occur before collecting the sloes. The sloe must be mush, with wilted skin: this is when it is at its best. Sloes will keep for a short while if dried out in the sun, but best is to freeze them and thaw right before cooking. 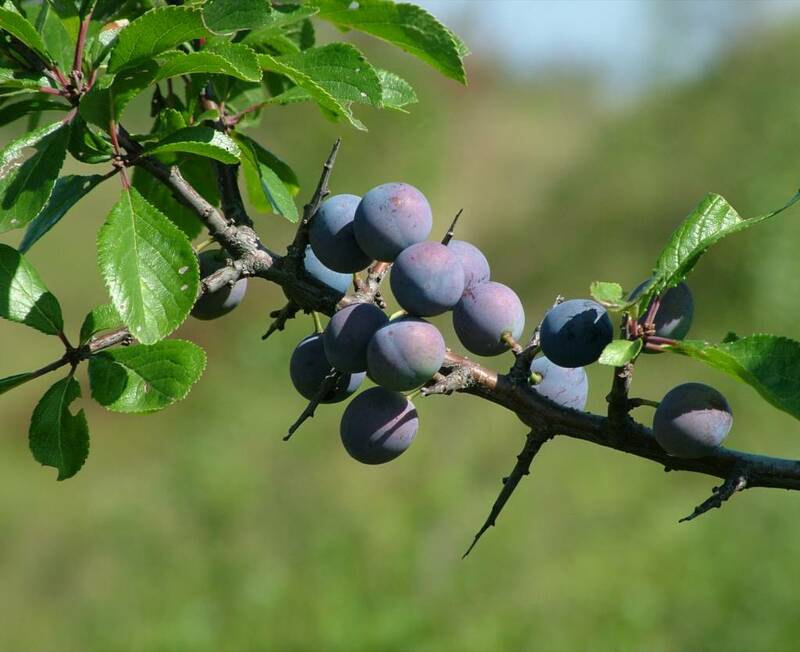 Blackthorn, also called sloe bush, is part of the large Prunus family, like the apricot tree, plum tree, almond tree, peach tree and cherry tree. It actually can be used as a graft-holder for apricot trees, plum trees and peach trees. 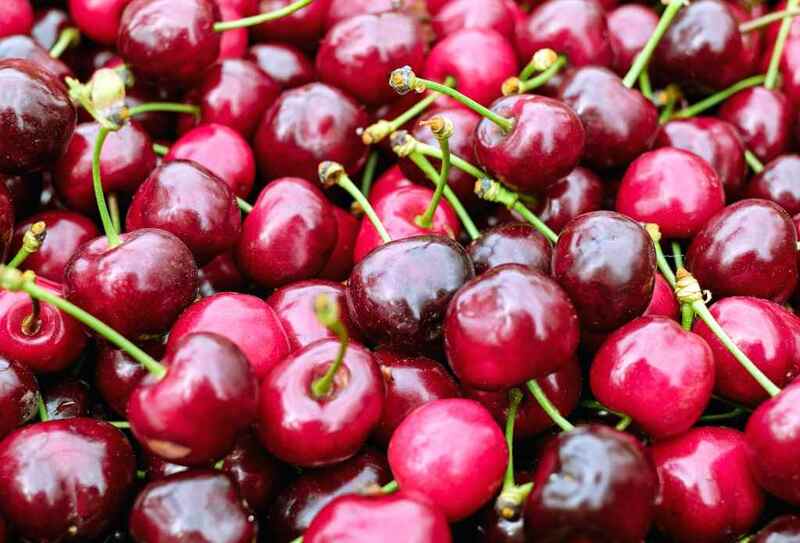 Often used to create defensive hedges, its bountiful fruits are sometimes forgotten, which is a shame because they are delicious after they’ve frozen through. Its early blooming is simply beautiful, covering the tree even before leaves have appeared. Sloes are astringent if harvested too early, but always have high vitamin C contents as well as organic acids and tannin compounds. 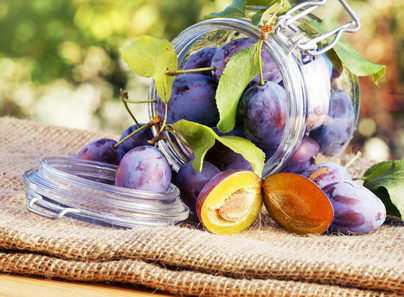 Sloes enter into the preparation of very many recipes for spirits, wines and jams. 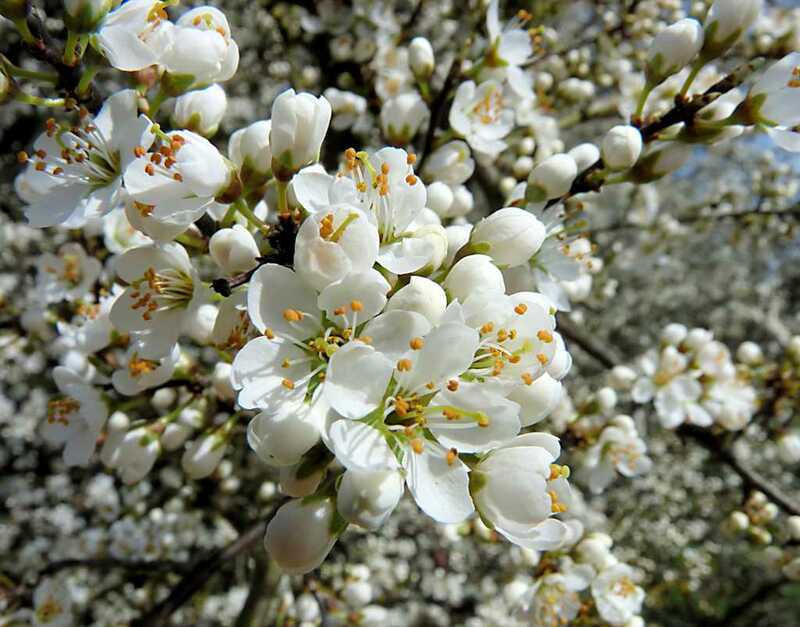 During the beautiful spring blooming, you can snip a couple branches off from your blackthorn and arrange them in a large vase, the decorative impact will impress all! Blackthorn does well in my clay soil. The rhs entry on it corroborates this. Saying it despises clay is frankly wrong. 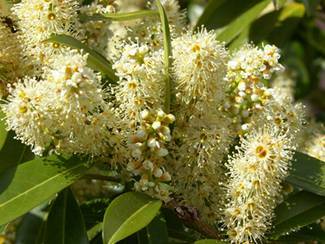 It also tolerates fairly poor soils, half shade and is a really tough hedgerow plant. Hi grrrrrl, thank you for your comment. The word “despise” is too strong, I’ll change it to reflect your experience. Thanks for sharing your added information about your blackthorn – always good to see someone who’s happy with this tough but fruit-bearing hedge plant!